In the last few weeks we've put a lot of effort into the map-based features of Actionbound. We're happy to present the results to you. Actionbound now also supports OpenStreetMap! But that's not all. 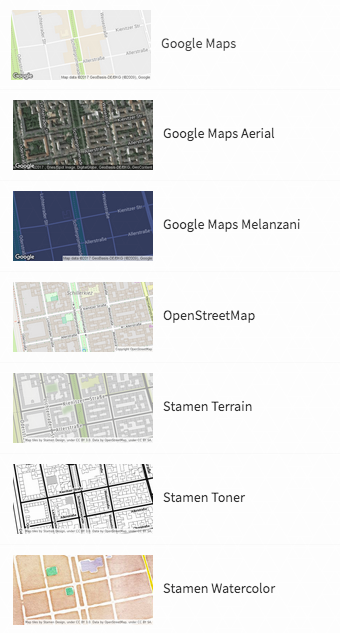 We have also implemented the beautiful maps of Stamen Design and some new styles for Google Maps. 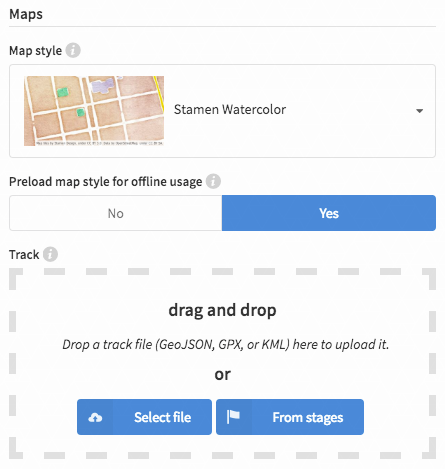 The maps from OpenStreetMap and Stamen Design can even be preloaded for offline usage. Players can now use the maps while playing a Bound to easier find the way and solve the GPS based task "Find spot" even if they don't have an internet connection. The maps are set in the Bound's settings and will be displayed in the Bound Creator and the Actionbound app where ever maps are shown. The track the players have to go to complete the Bound can now be displayed as a blue line on all maps. The route is defined by a track file (GeoJSON, GPX or KML) which helps the players to stay on the right way. Track files can be recorded with a GPS device or be created with a browser based tool, e. g. GPSies, OpenRouteService or Google Maps. This file can be uploaded in the section "Track" in the settings of a Bound. Furthermore there is the possibility to create the track automatically based on the stages. It is important that GPS coordinates are set for the stages. With one click these stages are connected with a straight line and a track is created. The start point will now be shown on more maps and a coordinate for the destination can be set. Now it's your turn: Start to create your DIY digital scavenger hunt or interactive amazing race with Actionbound right now! … and much more! Check out our download page to get the latest version of the Actionbound app.